The Rockman 500 watt Guitar Stack. Gotta have one of those! 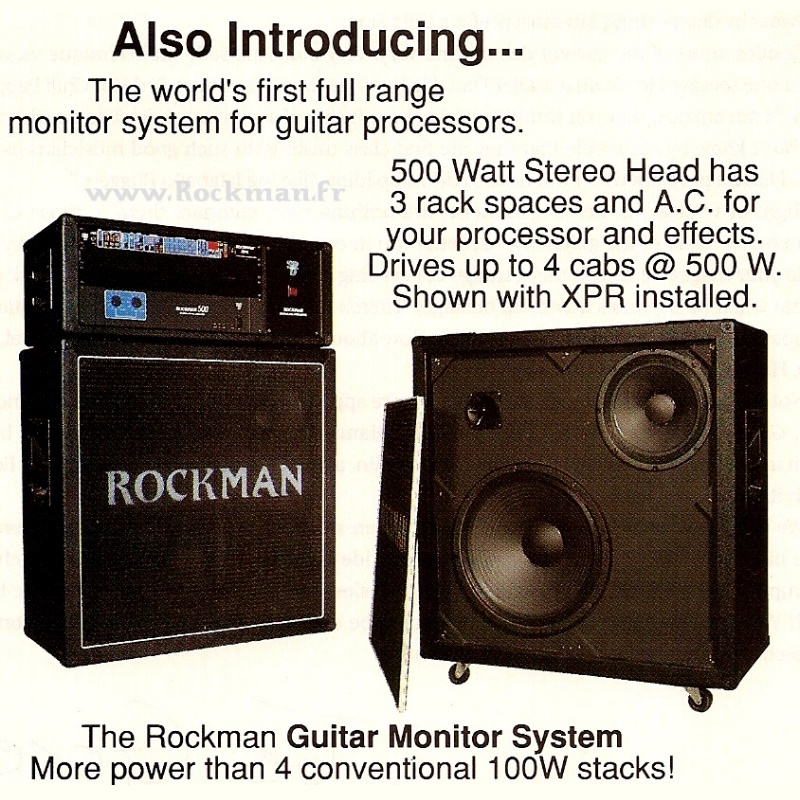 The Rockman Guitar Monitor is a Guitar Stack that can be used with the Rockmodules or XPR. The components include a Rockman PA500 amplifier (a modified Carver PM175 2x250 Watt), up to four linear 3-way cabinets and stage head that provides mounting for the amp, pre-amp and other rack mount components.